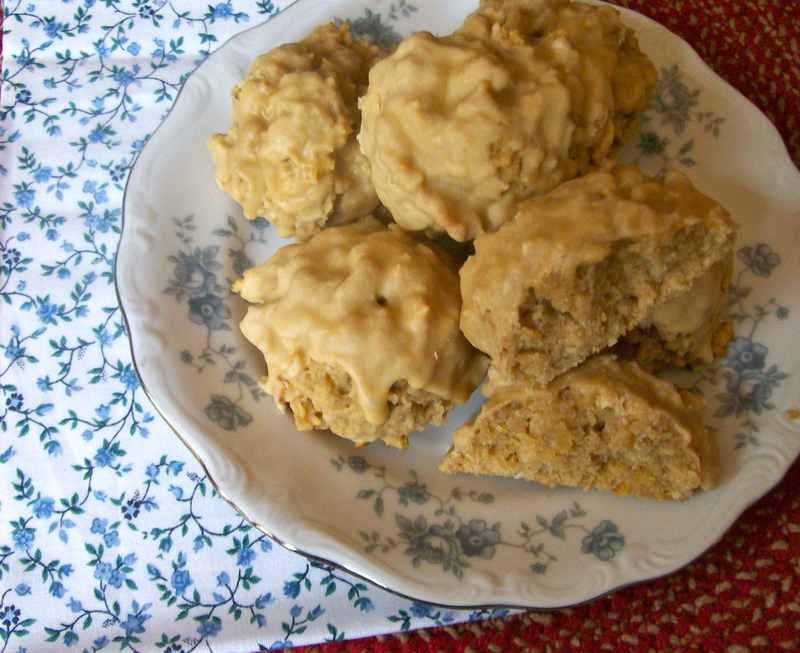 These cookies are so seriously good that I have to give them away. Yes, I do, because I could eat the whole batch all by myself. 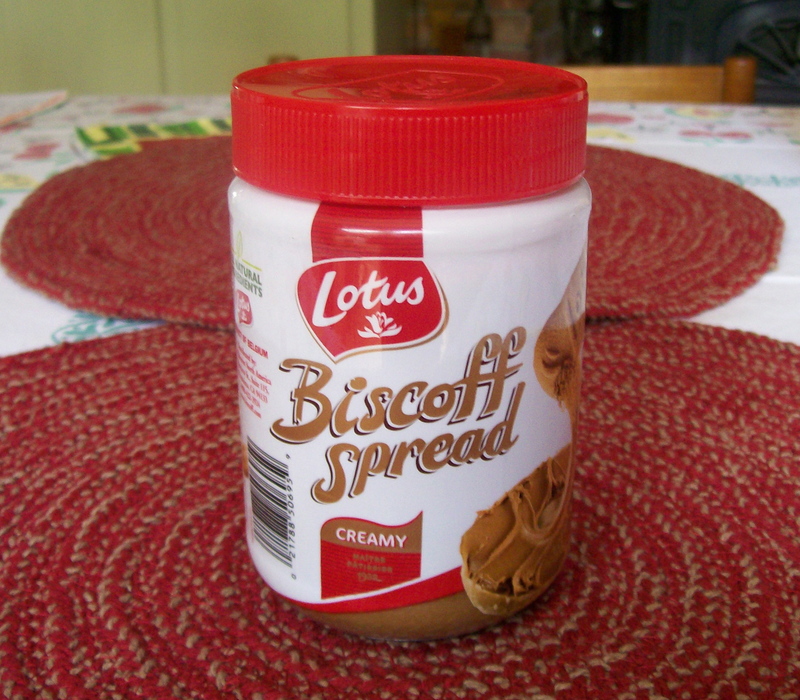 Am I the only person who did not know about Biscoff Spread until now? I really hope its a new product on the market, otherwise I’ve been missing out on something so good I don’t have words to describe it. Its thick and spreadable like peanut butter, but made from Biscoff cookies, so there are no nuts in it—great for folks with nut allergies. It’s all natural and vegan, and it can be used just like peanut butter. Where to find it? Check your grocery store in the section where peanut butter and Nutella are located, or I’ve heard it can be found at Walmart, or at Amazon.com. I learned about Biscoff Spread from another blogger that I follow and from whom I got this recipe. Ordinarily I’m not overly fond of oatmeal cookies, but these are the best I’ve ever had. 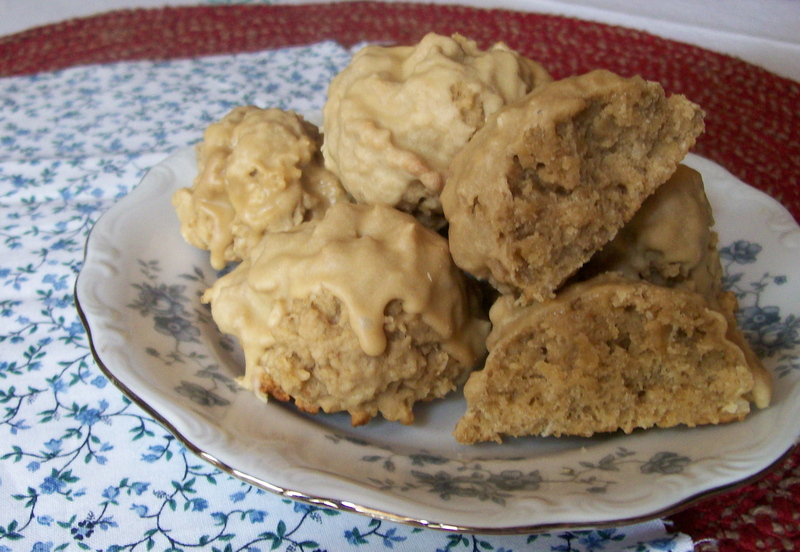 Soft and moist, they melt in your mouth, and the glaze on top—oh my, its sooooo good. If you’re a little tired of run-of-the-mill chocolate chip cookies, give these a try. In the words of my favorite taste tester, “these cookies offer a new experience for your taste buds”. The recipe says it will make 18 cookies, but I got 28. I guess my cookie scoop is smaller than what is specified in the directions but that’s OK, ‘cuz then I can have two. 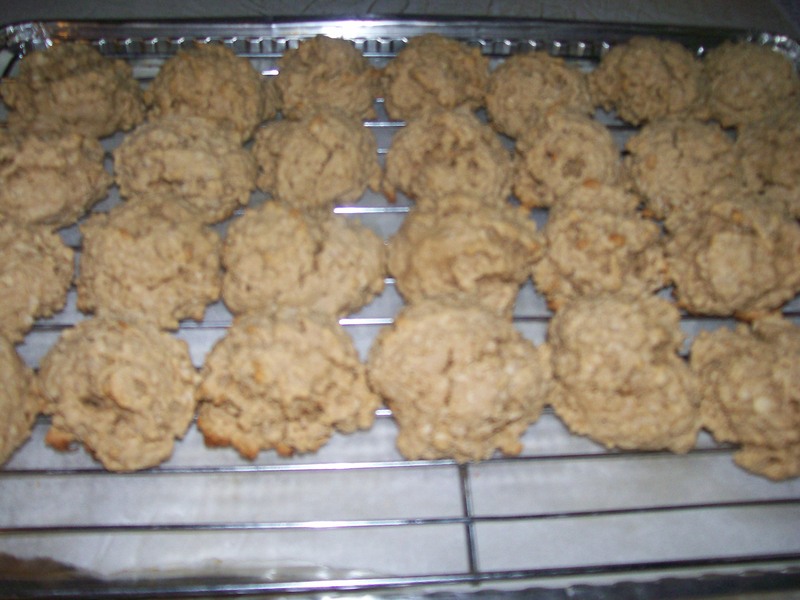 2 cups quick oats You can use regular oats, but the flakes in the cookies will be larger. 1. Whisk together all the dry ingredients, oats through flour. Set aside. 2. In a large mixer bowl, cream the butter, oil, and sugar. Add egg and beat until fluffy. Beat in yogurt and vanilla, scraping down the bowl as needed. 3. Add in the flour mixture in 3 additions, and mix just to incorporate. Refrigerate the dough and let it rest for 30 minutes. 4. Preheat oven to 350 degrees. Line baking sheets with parchment paper. Use a 2 tablespoon size cookie scoop to place dough onto prepared sheets. 5. Bake at 350 for 12–14 minutes, till light brown. Cool on wire rack. 6. While cookies bake, make the glaze. Whisk or beat all the ingredients together till smooth. Add more milk or sugar if needed to achieve a pourable consistency. 7. Place a cooling rack on a parchment lined baking sheet and put all the cookies on the rack very close together. 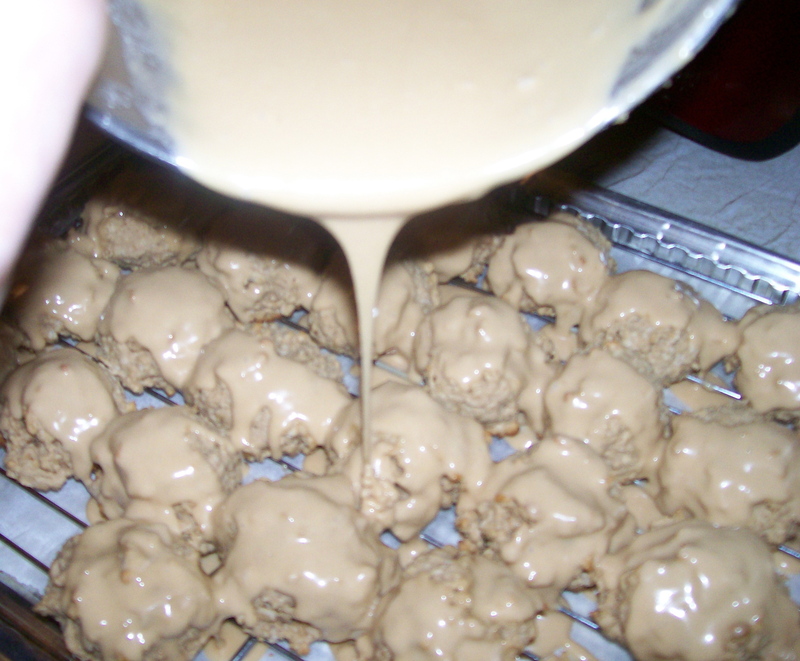 Pour glaze over cookies. It will spread and smooth out, and after about 30 minutes will become set. Store in an air-tight container.